A dumping hopper is a container used to temporarily store materials such as biomass so that they can be dumped easily. 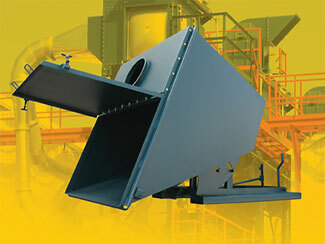 Dump hoppers can be used in biofuels industry to process, dispose of or relocate materials. Some self dumping hoppers are attached to forklifts. They usually operate by picking up the raw materials and automatically returning to an upright position, locking so they can be reloaded. 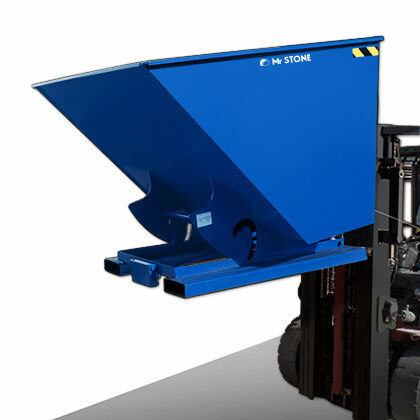 Dump hoppers are categorized by volume, weight, depth, width, and what they are made of. The versatility, dependability, and variety of self dumping hoppers make them an essential component for dealing with large quantity biomass material. 1. 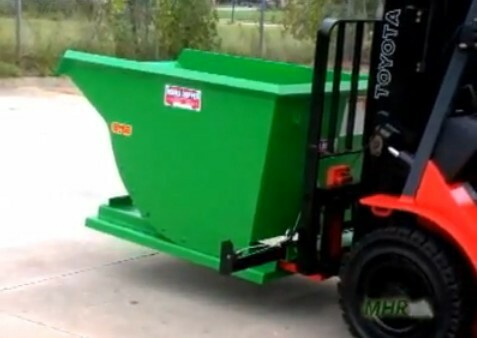 "Dump Hopper, Gaylord Box Dumper & Trash Can Dumper." 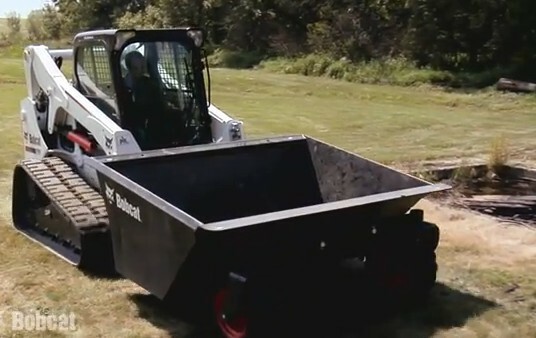 Dump Hopper, Self Dumping Hopper, Box Dumper, Trash Dumpers, Forklift Dumpers. N.p., n.d. Web. 24 Dec. 2012. <http://www.nationwideindustrialsupply.com/Hoppers/>.